On this page we will provide links to other sites that we think you should know about, sites we like and sites that are just plain brill. QLL - The Quiz League of London. Some of the best teams around play in the QLL. 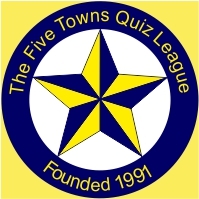 The Merseyside Quiz Leagues - biggest confederation of quiz leagues going. Quizzing.co.uk - the biggest clearing house for quiz in the UK. The Internet Movie Database - excellent movie reference site. Leader in its field. Let us know if there are any websites that you think should be included and we'll, you know...think about it.